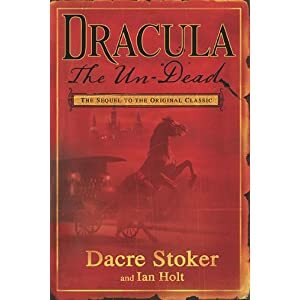 Dracula: the Un-dead, by Dacre Stoker and Ian Holt, is an entertaining story, but fails to deliver completely. Being a very strong fan of Bram Stoker’s Dracula, causes me to be more disappointed than I would normally be. Firstly, its strengths. The novel is very well researched, capturing a realistic London and Paris of 1912 (the only exception was the cringe-worthiness of several uses of the word ‘fix’ for one of the character’s injection of morphine). The Gothic atmosphere is tangible and enjoyable. Another strength is the clever use of explaining that Bram Stoker’s Dracula was, in fact, a novel, and the truth was somewhat variant to it. Aside from mixing reality and fiction in an interesting way, it allowed some ‘legitimate’ doctoring of facts to suit the sequel. I should point out, however, that this ‘doctoring’ process is a two-edged sword, and devotees of Dracula must be satisfied with the variance. To mix metaphors, they trod a very fine line. Characters were well developed and the idea that the surviving heroes all were destructively affected by the adventure of a quarter of a century earlier, all in unique ways, was also admirable. And believable. Firstly, I believe that the authors tried to do too much. Much too much. They wanted surprises and twists and created an ennobled, non-intrinsically-evil Dracula in counterpoint to the original novel (but curiously, counterpoint to all bar Mina in the ‘real’ history of twenty-five years previously). They even threw in a trip on the Titanic. It was overkill and it undermined the Gothic-ness of the story, and also diminished the suspension of disbelief. Dracula was the king hit when it came to failure. Aside from the intention to create a story that was unique, unpredictable, it was not good enough to work against the immense portrayal of loss of soul and darkness in Dracula’s heart. He was old and gnawed at his own heart for too long and these images and perceptions of the count were shredded by the character portrayed in the sequel. I sort of understand what the authors were trying to mold, but it did not work, not entirely. Unfortunately, 90% is as good as 0% when inevitably comparing this novel with the masterpiece written by Bram. I enjoyed the book but it didn’t grab me, and there were moments when I really felt betrayed. The ending of the novel was simply a concentration of those failures… and then there was the Titanic. Yik. 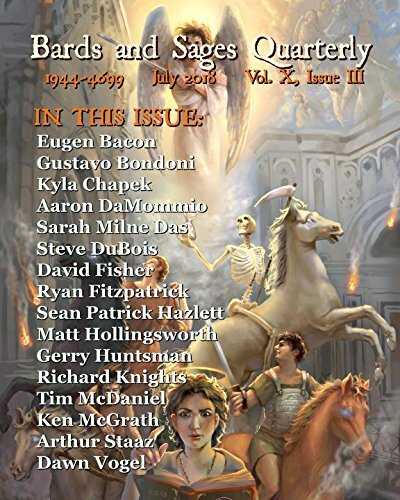 Posted on January 26, 2011 by Gerry HuntmanPosted in UncategorizedTagged review.